Will you be showing your horse this season? Showing your horse is a big commitment and it requires a lot of planning and work. For both yourself and your horse, showing can require packing a lot of tack, grooming tools and other gear, and, you'll have to pack all these important items in a way that is not going to turn into chaos once you start competing and hurrying between classes. Clearly labeled bags, plastic tubs, tack boxes and even things like zip-closure plastic bags can help you maintain some order while you're showing. Putting things away after you use them, even though it's tempting to toss items aside, will help prevent sprawling your gear all over and make finding things when you need them again―and packing up to go home―much easier. 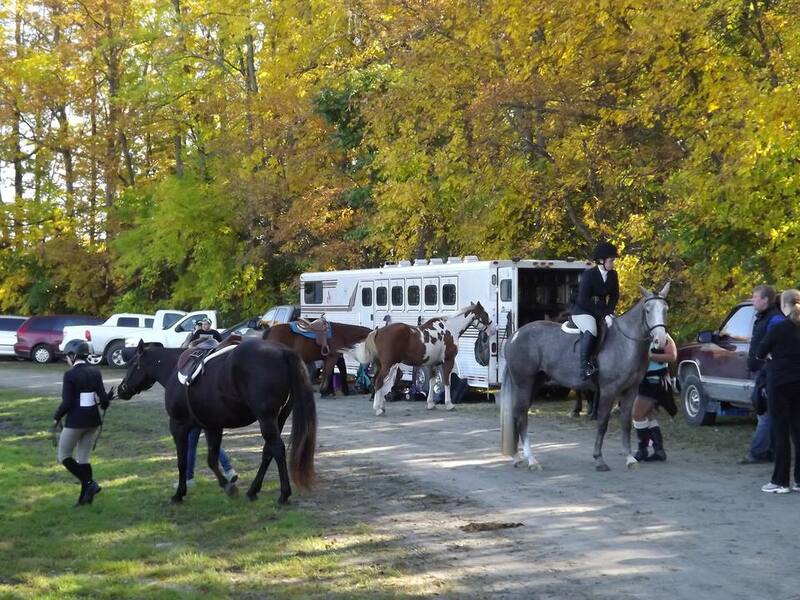 Listed below are items you may want to pack when going to a horse show. The specific equipment you’ll take will depend on which discipline you will be competing in. You will probably find that when you pack to go anywhere with your horse, you will end up taking too much. But you never know when you’ll end up where the bugs are horrendous and you left behind the fly spray, or the weather turns from tropical to frigid or gets rainy and hot. You also don't want to arrive and find you've left something behind―an essential like a bridle or saddle pad. Be sure to do double check of all your items against the list you've made. Leg wraps and cottons or shipping boots. Tail wrap if using. Use it if your horse's tail gets rubbed on the back of the trailer. Blanket if using. Use one if it's very cool or damp or you want to keep the dust off. 2 lead ropes, one cotton and one with a chain. Leads and halters can get broken at shows and you don't want to do without. Hay net or flake bag (make sure you learn how to tie it properly). Hay (enough for the day). Grain if you'll be there for mealtimes. Shavings or other bedding if there is on-site stabling and none is supplied. 2 buckets (one for horse watering and one for washing and sponging). Water (horses may be more likely to drink water from home). Rain sheet (be prepared for any weather). Lined blanket (if there is chance of cold weather). Martingale or tie-down, if used. Breast plates or crupper, if used. Harness and vehicle if you will be driving your horse. Brush boots or bell boots, if used. There may be other items you'll need, such as your costume for a costume class or hoof gloss and other specialty items you plan to use. Add these to your list and pack them carefully.